Kevin Costner knows how to handle himself after civilization ends, but you don't have to. 90% of the email pitches I have gotten this year lament increased uncertainty or volatility in the markets. That leaves me scratching my head. The idea that this year’s volatility has been problematic is laughable. The VIX is at 12.16 (as of 7/29/2016), which is actually abnormally low. This measure of stock market volatility generally spikes during market selloffs or in the wake of macroeconomic events that traders perceive to be negative. It was over 40 during the drawdown in the third quarter of 2015 and hit about 28 during the lows in February of this year. After the Brexit vote, it jumped to almost 26. The VIX averages around 20. So if we’re using the VIX as a proxy for uncertainty, the world is actually about as certain as it ever gets about the future. The VIX is not a perfect proxy for uncertainty, though. What about headlines? Brexit, the Middle East, Russia, and China are all sources of global unease. The nearing election here in the United States brings our worst fears out of the shadows. We are assured that if the wrong person is elected, everything we stand for will be destroyed. Oddly enough, the Middle East and Russia (or the Soviet Union) have been sources of global uncertainty for over 50 years. It’s the same uncertainty, but the stakes have changed – in our favor. The Cold War brought with it fear of global nuclear war. Today’s children do not practice ‘duck and cover’ as this threat is remote. America was shaken by an oil embargo in the 1970s, but today the shoe is on the other foot. American energy production has loosened the Middle East’s grip on energy, reducing the planet’s reliance on that politically unstable region. Americans are blessed to see peaceful transfers of government between parties, regardless of the rhetoric. The United States isn’t as fragile as some make it out to be. I love schlocky science fiction, especially post-apocalyptic flicks. I was watching a few of these recently and found a couple of weird things. 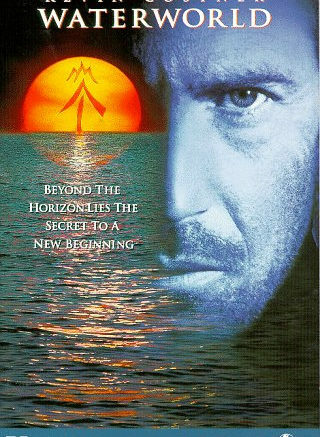 First, Waterworld wasn’t that bad. There, I said it. Secondly, Back to the Future II, The Running Man, and Mad Max all feature a dystopian future where civilization has crashed. The fall of civilization in these films ranges from 20-40 years after they were released so they take place in the “near future” which makes them fun to watch 30 years later. What makes us think that destruction is just around the corner, lurking for the next generation? The really cool thing is that this isn’t just a science fiction phenomenon. Government projections for the Social Security Trust Fund have predicted the time until the fund’s exhaustion since 1941. We are generally 20-40 years away from exhausting the fund and have been since 1941. Close enough to spur some changes, but never close enough to lay blame on current office holders? Or maybe it’s just a reflection of our human psyche. Either way, I found it an incredible coincidence. As Yogi Berra famously said, “The future ain’t what it used to be.” Investing based off of extrapolating today’s headlines out 30 years is a recipe for disaster. I’ll write about pessimism and why it makes sense to be optimistic instead in my next post. Until then, I’m off to watch The Postman.